As the firm’s 13th partner, Schuyler brings considerable tax and health policy expertise, as well as a wealth of strong relationships on Capitol Hill. Thorn Run Partners (TRP) announced today the addition of Beau Schuyler as Partner in their Washington, DC office. 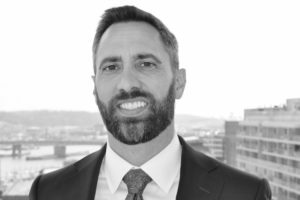 Schuyler brings over 25 years of experience as a respected lobbyist, political strategist and Capitol Hill staffer to his new firm. TRP's Jason Rosenstock was recently quoted in an article for The Washington Post that discusses the state of the financial services system under the new House Democratic Majority. The article highlights Rep. Maxine Water’s future role as potential Chairwoman of the Financial Services Committee and what that might mean for industry insiders. “A lot of this is headline risk, but they have to prepare to handle that and make sure it doesn’t spiral into real regulatory or legal concerns,” said Rosenstock. 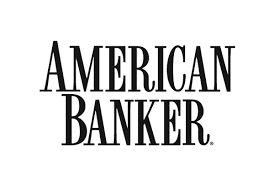 Today, TRP’s Jason Rosenstock penned an article in American Banker where he discussed what a potential “blue wave" could mean for the financial services system after November’s midterm elections. "If one were to believe only the clickbait headlines, the ascendant Democratic majority in House is being built on a foundation of populist, anti-establishment socialists whose aim is to undermine and replace America's open-market system with a leftists command economy that will destroy our financial services system," said Rosenstock. "The truth, however, couldn't be more different." Rosenstock argues that the electoral math for next year should give pause to those in the industry who view a potential Democratic majority as "the end of days." He also astutely points out that the industry should begin thinking about pragmatism and bipartisan solutions. "Next year should be a time to build, not burn, bridges." An article written by Thorn Run Partners’ Stuart Chapman and Andrew Rosenberg was featured in the Political Science Applied journal last month. The piece, entitled “Lobbying Congress in Today’s Washington,” examines the shift in the perception of lobbyists in Washington, D.C., from “legislation crafters,” to intricate policymakers rooted in advocating for a client’s cause. Chapman and Rosenberg outline the transformation of modern lobbying, suggesting a form of legislative action that is guided by policy specialists who use expansive knowledge, strong communication with various organizations, and recruit the interests of stakeholders in the drive for change. The authors note that this approach to advocacy operations has helped Thorn Run achieve sector-leading growth, making TRP far from a one-dimensional firm.